This post started as “Top 5 Questionable Hair Decisions in Historical Costume Movies” and while that was semi-entertaining, I was rehashing things I’d ranted about in earlier posts. So I thought about it a bit, and I realized — the things that generally bug me about historical-hair-gone-wrong has to do with what’s going on in contemporary (as in, when the movie was made) hairstyles. So I thought it would be more interesting to do a comparison! Now, of course, there are lots of movies that aim for a historical aesthetic when it comes to hairstyles and others where it’s a mishmash. 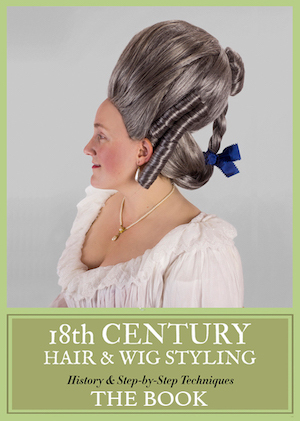 But it seems to me that when historical costume movie/TV series hairstyles vary from what WOULD be historically accurate, it’s due to current-to-filming perceptions about hair. So, let’s look at some of these not-so-accurate films/TV series and compare the hair to what’s going on at the time of filming, and see if I’m right! 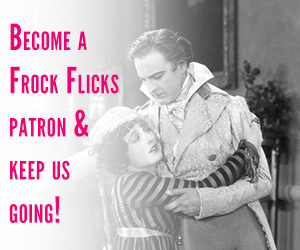 Today, we’re going to tackle the 1910s — the decade when the cinema industry really got going, and movies (“motion pictures” back then) became one of the leading popular entertainments. 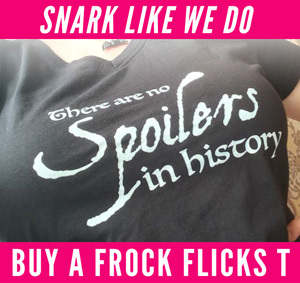 There were a number of historically-set movies that were successful right from the start! 1910s hairstyles, cinematic and contemporary, probably aren’t as hilarious as 1950s to 1980s, but we gotta start at the beginning. 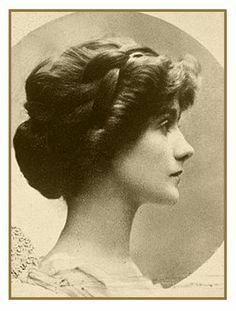 The 1910s was a transitional era (of course, aren’t they all) between the Gibson Girl updos of the 1900s and the bobbed styles of the 1920s. 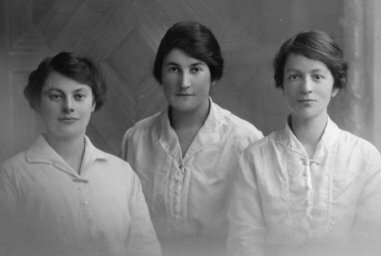 By the late 1910s, many women were wearing their hair parted in the center or on the side, and then looped down close to the head. The hair almost looks bobbed, but it was still long and back and put up in some kind of arrangement. The changes in men’s hairstyles over the decade were far more subtle. In general, hair was cropped short and brushed back away from the face. There could be a center or side part or no part at all. Now let’s compare some of the hairstyles shown in historical films with what the character SHOULD have looked like. Now, one hitch is that it’s pretty hard to find images of many 1910s films. Many of them are lost or just not documented much online. So I’m working with what I could find! Theda Bara played the title role in Cleopatra — one of the most elaborate films made to date — in 1917. Somewhat surprisingly to me, Bara’s hair isn’t half bad (if we ignore whatever headdress she’s got going on). 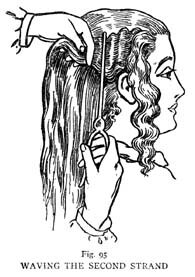 Egyptian women did wear their hair in masses of thin braids or ringlets (A Companion to Ancient Egyptian Art, 2014). Compare this bust of a Ptolemaic queen — possibly Cleopatra, but even if not, she’s of the right station and era — to Theda Bara on the right. Jane Shore (1915) attempted to tell the story of English King Edward IV’s mistress, who lived from c. 1445 to c. 1527. Actress Blanche Forsythe wears her hair in an attempt at a much earlier (200ish years?) style: the very long braids. However, notice how if you removed Forsythe’s braids, you would end up with a waved, loose style that echoes very much the fashionable styles shown above. She even has bangs! 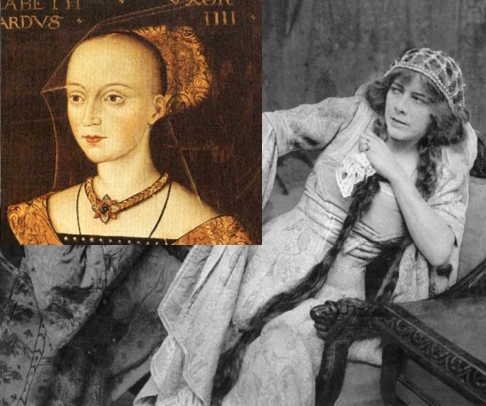 Compare Forsythe with the portrait of Elizabeth Woodville (Edward IV’s queen) on the left. Her hair may be parted on top, but nonetheless it is scraped back and covered with her hood — the complete opposite of Forsythe’s in-the-face style. 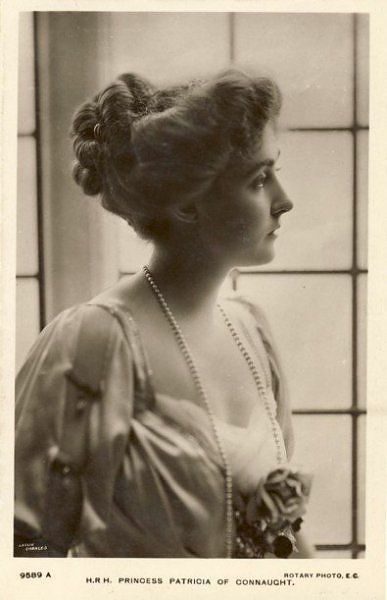 Laura Cowie was the first actress to ever play Anne Boleyn on film in Henry VIII (1911). This image of Cowie is pretty small, but nonetheless we can get some idea of her hair: parted in the center, waved or braided, and laying on her face and down below the ears. And look — it’s an early plastic-visor French hood! Compare Cowie to a possible lifetime image of Anne Boleyn (and even if not, an Englishwoman of similar station from the same era). Boleyn’s hair is parted in the middle, straight, and smoothed down to the ears (but not below). Mary Pickford wasn’t the first to play Nell Gwyn on screen — that honor went to Marie Tempest in English Nell (1900) followed by Nellie Stewart in Nell Gwynne (1911) — but Mistress Nell (1915) is certainly the most remembered today. 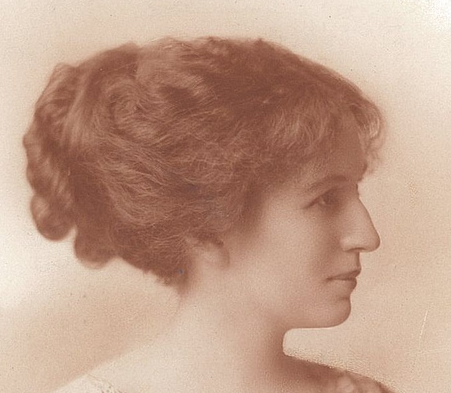 Compare Pickford’s hair with the photograph of her out-of-costume above — she is essentially wearing the same hairstyle, consisting of waves on the head and very long ringlets below. Of course, Pickford’s trademark WAS her hair, and the odds of her being allowed to change her hair for a role were slim. 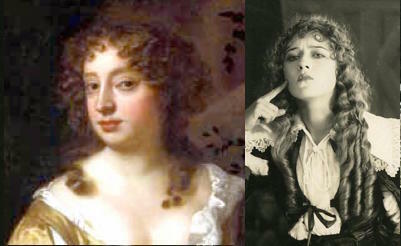 But while the real Nell Gwyn wears her hair in waves and ringlets, it’s a very different shape overall. Here’s where it gets good. There was not one but TWO films about and titled Madame du Barry in this decade (side note, why does du Barry get all the film love and Madame de Pompadour gets very little?). The first was in 1917 and starred Theda Bara. In some ways Bara’s hair isn’t half bad. It’s styled up towards the crown of the head, in a wider silhouette than the portrait of the real Madame du Barry by Drouais, but not too much wider. It’s missing all the vertical curls of the real du Barry’s tête de mouton hairstyle, but I’m not expecting complete accuracy. The big difference is how much hair is in Bara’s face. Again, this far more echoes the fashionable styles of the 1910s than it does the styles of the 1760s to 1770s in which Madame du Barry is set. The second Madame du Barry was released in 1919. 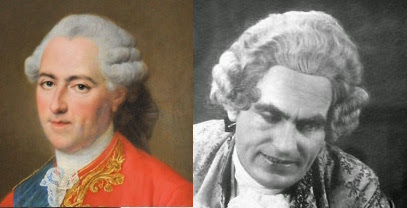 Emil Jannings played King Louis XV, and his wig really isn’t half bad. It’s a bit higher on top and has the side-to-side wave typical of the late 19th and early 20th centuries … but otherwise I’m not really clutching my pearls when I compare him to the real Louis XV as painted by Drouais. We can’t see the back of either hairstyle, but I can guess that the black bow on the real Louis’s neck indicates a long queue (hanging tail). I think I see a similar black bow poking out on the left side of Jannings’s neck … but I can’t be sure. Pola Negri played the title role in Madame du Barry (1919). I like the fact that Negri’s hair is curled in front and on top of the head, but long and straight and ending in ringlets in back — that’s actually very 18th century! What isn’t is the fact that the curls are so disheveled, and laying forward into Negri’s face. If you compare her with the bust of the real du Barry by Pajou, you can see how women’s hairstyles of this era were all about being pulled away from the face. Compare Negri with the fashionable images above, and you can see where the curls-in-the-face comes from. Sixty Years a Queen (1913) tells the life of Queen Victoria of Great Britain. Blanche Forsythe plays Queen Victoria, and this image is from her coronation scene. Apologies for the crappy photo, it’s all I could find! Forsythe’s hairstyle actually isn’t half bad. It’s parted in the center, pulled down along the face and below the ears, with a bun on the back of the head. On the right, you can see the real Queen Victoria in her coronation robes (painted more than 20 years later, but the hairstyle is the one she wore for her coronation). Yes, the real Victoria has looped braids over her ears while Forsythe just has waves, but it’s essentially the same silhouette. I’m not sure who this guy is supposed to be — probably NOT Prince Albert, as the two were married after Victoria’s coronation, but I thought he’d be a good representative of a fashionable men’s hairstyle to use for comparison. And again, not half bad! 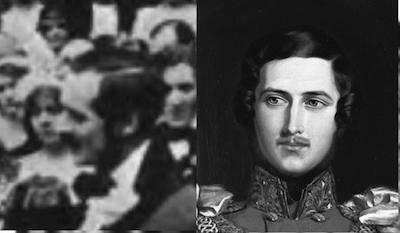 The actor has his hair parted on the side, relatively short, with a slight wave … as does the real Prince Albert in 1840! Birth of a Nation (1915) is set during the American Civil War and Reconstruction eras. It’s one of the most important early films … and also responsible for a whole lot of horrible things. It tells a fictional story of the formation of the Ku Klux Klan and was in large part responsible for its 20th-century resurgence. But we can still look at it as a source for hair! Lillian Gish plays Elsie, daughter of a Northern congressman. I’m pretty sure this scene is from after the Civil War, so I went with 1868 as a throw-a-dart year. 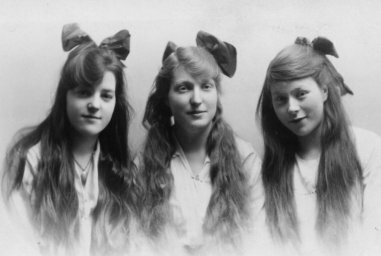 Gish’s hair is a less-waved version of the Mary Pickford, with long hair worn down — straight at the crown, ending in ringlets, and falling into the face. Compare that with the Harper’s Bazar image on the right, in which yes there are a few ringlets, but the hair is mostly 1) pulled away from the face, and 2) styled into a large arrangement on the back of the head. Can you see the 1910s influence in these cinematic hairstyles? Are there any other historical films of the 1910s worth examining for their hairstyles? Interesting and enlightening. When we were doing Age of Innocence, we got handouts from Wardrobe for hairstyles and jewellery. We were supposed to supply as much of our own as possible. My wife didn’t care much for the evening dress top they gave her — it was too tight to start with — so she made a copy of one of the Italian designer tops some of the regular cast were given. It was so good she had a hard time convincing them it was hers. maybe Du Barry gets all the love because she was executed during the reign of terror? And apparently she made QUITE a fuss about it. FFS, did you even read the article?? ?